The annual Launceston Young Farmers dinner and dance was held on the 24th September at Trethorne Leisure Farm. 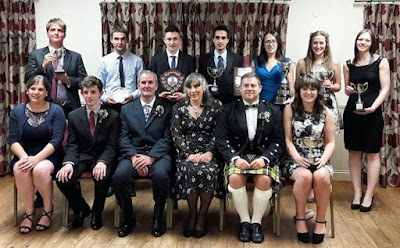 Members enjoyed a 3 course meal including carvery followed by speeches for guest speakers and then the prize giving. The Revd. Roger Greene started the speeches by proposing agriculture, which was seconded by former Launceston YFC member and club leader Andrew Hosking. Country Chariman Georgina Monk proposed ‘our club and movement’ which was followed up by our club chairman, Oliver Stephens. Cups were given out afterwards to members that have achieved well in the year, gaining most points in various competitions. New members evening this year was held at Trethorne. 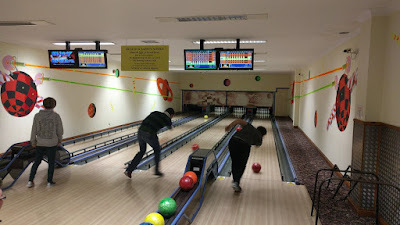 Around 10 new members came to the meeting where we had ago at 10 pin bowling so that they could meet existing members and find out what we do in club.